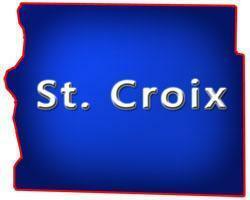 Saint Croix County is located in Northwest Wisconsin between Minnesota and Menomonie on the western middle part of the state along the St Croix River and Mississippi River. Saint Croix is known for its caves, fly fishing, cheese, farmers markets, snowmobiling, biking, hiking, parks, golfing, river fishing, wildlife, bird watching, camping which Willow River, Glen Hills County Park, St Croix National Scenic Riverway, Apple River Canyon State Natural Area, Apple River, Bass Lake, Lake Mallalieu, Twin Lakes, Kinnickinnic River State Fishery Area and Casey Lake State Wildlife Area plus a couple communities including; Somerset, New Richmond, Roberts, Hudson and Baldwin. It's surrounded by 4 other Counties; Polk, Dunn, Barron and Pierce. On this site you can search for Waterfront Restaurants, Steakhouse, Seafood, Diners, Cafes, Fast Food, Pizzerias, Eat Stands, Barbecues, Buffets, Coffee Houses, Bars & Grills, Pubs, Taverns, Family Style, Burger Joint, Ethnic Restaurants, Casual Dining, Food Truck Services, Other Restaurants; Greek, Italian, Mexican and more... located in this county, listed by a real estate agents. St Criox County, Wisconsin GIS MAP Information!